Ever since I was young, I was interested in interaction design, particularly in the interaction between humans and technology. After graduating from high school, I decided to study Human Technology in higher professional education, but I really missed a challenge. When I obtained my first-year certificate without any problems, I decided to actively seek a challenge and started studying Creative Technology at the University of Twente. The mix of creative, social and technical aspects in Creative Technology appealed to me. You receive a very comprehensive education. For instance, I found out that in addition to interaction design, I am also very interested in management and IT. Why did you choose the university of Twente? I chose the University of Twente because it is the only university where you can study Creative Technology. It is also a very entrepreneurial university. Many students become active in extracurricular activities, for example by becoming board members of one of the many student associations, or they organize activities for fellow students. This means that you can also pursue personal growth in addition to your studies. Do you like creative technology? Creative students often devise innovative solutions. You can directly apply the knowledge you have acquired in projects. In addition to the projects, you learn to program, design, and manage, and you refine your skills in mathematics. I recently took a subject with students from Stanford University. In a project team with these students, we conducted research aimed at improving a well-known professional videoconferencing system. We conducted user research, we held interviews and we built a prototype. It was so much fun and very educational! Studying Creative Technology means being at the university every day. You either go to lectures or work on projects. I like just about everything I have to do for Creative Technology, so I don't mind the fact that my subjects are time-consuming. I try to get most of my work done between 8:45 and 17:30, so that I have the evenings and weekends off for fun things and my part-time job. 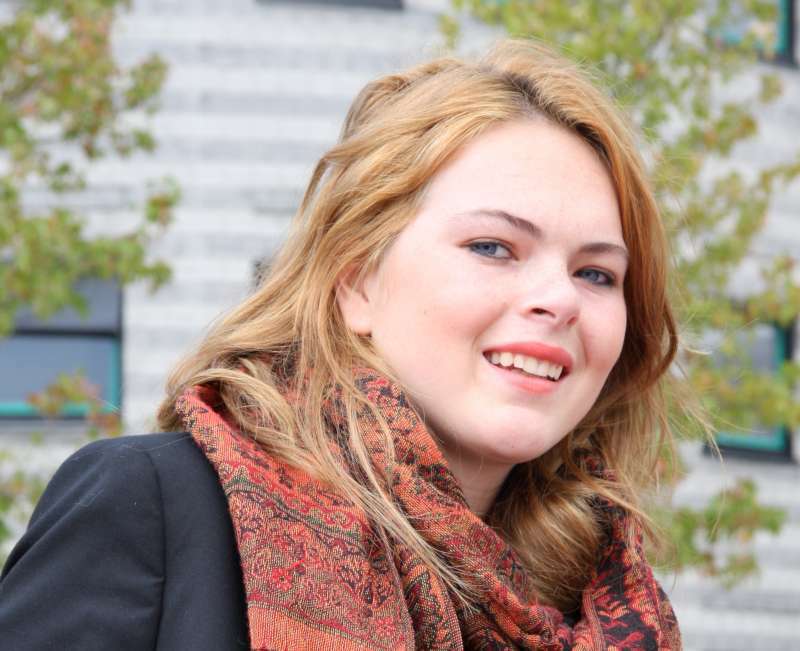 What's it like to be a student in Enschede? During the Kick-in orientation week, I quickly discovered that the University of Twente and Enschede has a lot more to offer than just studying. There are many student, study, sports and cultural associations. There is something for everyone! I live in a really great student dorm in the modern neighbourhood of Roombeek. I like it very much. We eat together and we regularly go out to do fun things. What do you do besides studying? In my first year, I was a member of the women's committee of the Creative Technology study association. This committee organizes all sorts of activities for the female students in the programme. I was also a staff member of the Sales and PR Committee of the computer store on campus and a member of the Enschede chapter of the AEGEE European students’ forum, where I met some of my current friends. It was not difficult at all to combine all these activities with my studies. I finished all my first-year coursework right on time. Because I like being an active student so much and because my studies went so well in the past year, I decided to study part-time this year so I can work on my personal development. This means that I will take half of my subjects this year, while running a computer store. Running a store is not only fun, but also very educational!